How To Make Riced Cauliflower – Two Ways! Let’s get ready to CRUMBLE! 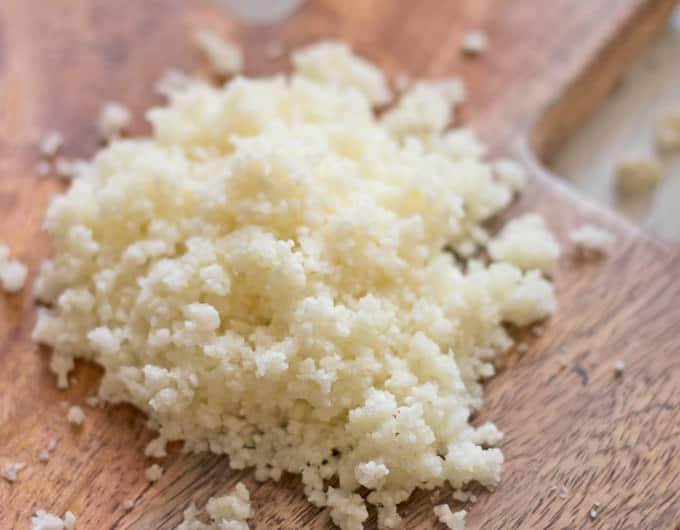 Find out how to make your own cauliflower rice in two different ways. What used to be the most boring vegetable is now the most popular. 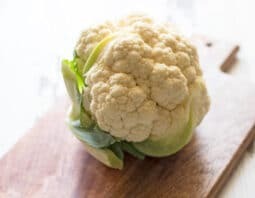 Cauliflower has grown in popularity in recent years as people continue to find healthier alternatives to white rice, mashed potatoes and the like. 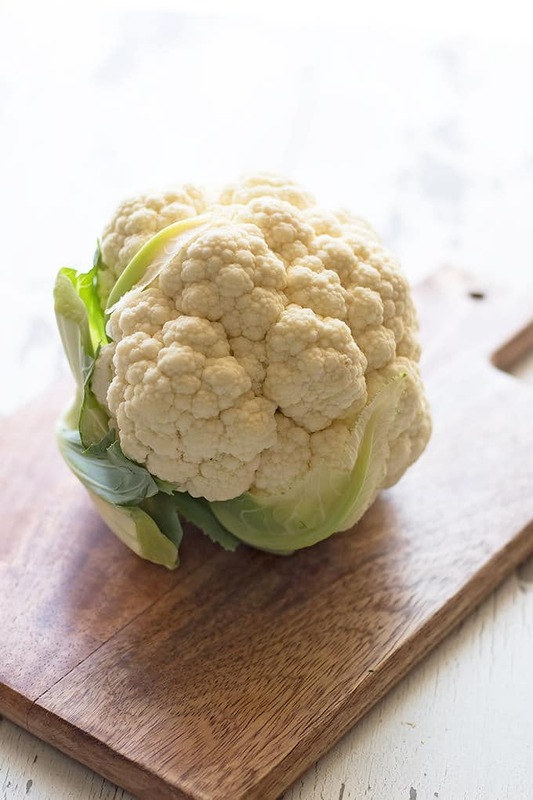 The versatility of cauliflower has really made home cooks, like me, become extra creative in the kitchen. Our Cauliflower Rice Ebook is out! One of my favorite ways to use cauliflower is by making cauliflower rice. Simple, easy to make and with a few spices – delicious. There are two methods for ricing cauliflower. 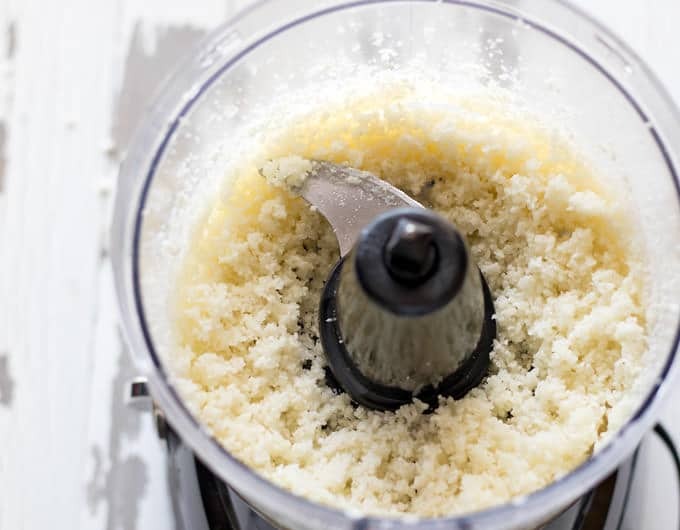 You can either use a regular box grater or a food processor. The goal is to turn cauliflower florets into tiny pieces that resemble rice. Both methods result in similar texture so you can’t go wrong with either one. 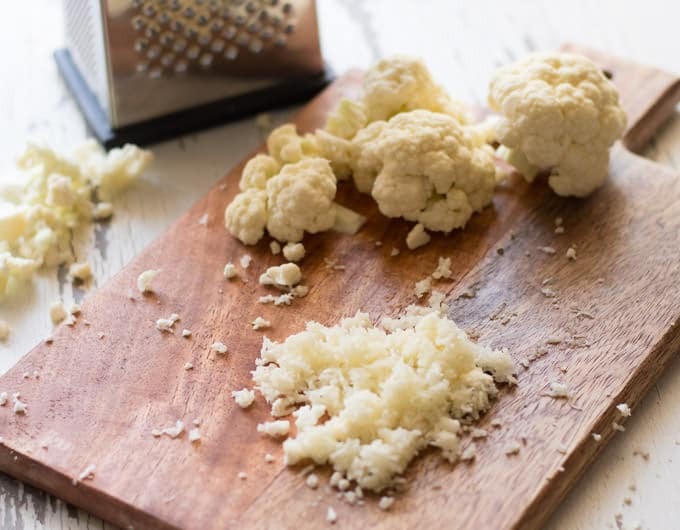 For the box grater method, get your head of cauliflower and start grating. You’ll want to try the different sides of the box to see what works best. I like those spikey little holes best for this but you might prefer the wider shreds. To make riced cauliflower in a food processor, add florets to the bowl and then top with cold water. Pulse until cauliflower is in small rice-sized pieces then drain. The purpose of the water here is so that the machine can run smoothly without pureeing the cauliflower. I guess there’s one more method. You can use a ricer! PRO TIP! Once you have rice-like crumbles, put them in a dish towel and squeeze out all the water. Trust me, your cauliflower rice dishes will be much better for it. How much riced cauliflower do you get from a head of cauliflower? 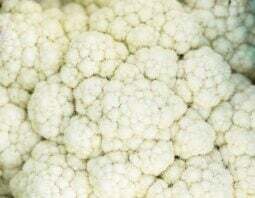 1 medium head of cauliflower (approximately 1 pound) makes about 4 cups of riced cauliflower. 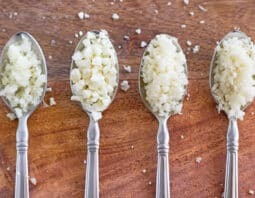 If you’re following a recipe that calls for ounces, there are about 4 ounces (by weight) of riced cauliflower in one cup. Wash and dry cauliflower. Remove the green parts and cut into florets. Using a box grater or a food processor filled with cold water and cauliflower, turn the cauliflower florets into the rice-sized pieces. Careful with your fingers when using the box grater! Drain if needed. Transfer cauliflower rice to a clean dish towel and squeeze to remove any excess moisture/water. You can then make your favorite cauliflower rice dish. Enjoy! Jamie Silva is the photographer, recipe developer and food writer behind A Sassy Spoon, a recipe blog for home cooks looking to give classic comfort foods a fresh, seasonal and modern twist! When she’s not cooking up a storm or dancing in her kitchen, you can find her exploring cuisine in other cities or unapologetically raiding the cookie jar.